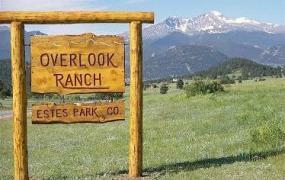 Get the ultimate Estes Park experience at the historic, 75-year-old, Estes Park Overlook Ranch. Our fully-restored, classic mountain lodge and cabins (#3474), provide a truly beautiful and rustic escape overlooking the Estes Valley and the snow-capped Rocky Mountains. Bordering the national forest, hundreds of miles of wilderness wait just outside your door—this is the great outdoors. With options to rent cabins individually, or the entire property, we are a perfect option for family reunions and corporate retreats. 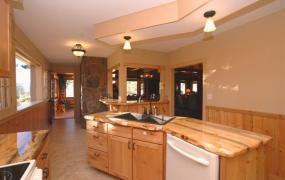 Our Main Lodge can sleep ten people, while our Two-Bedroom Cabin can sleep six, and our Efficiency Cabin sleeps 4. Bring up to one pup along for a small additional fee. 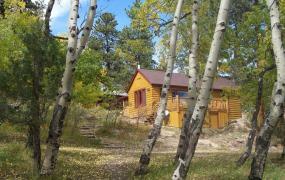 Hike, climb, bike, and view wildlife all on our 12-acres of property. For the best rates, call us directly at 970-218-0054. We can’t wait to welcome you to the wilderness.